I wanted to share the rest of the playroom with you guys. Here is the rest of it. 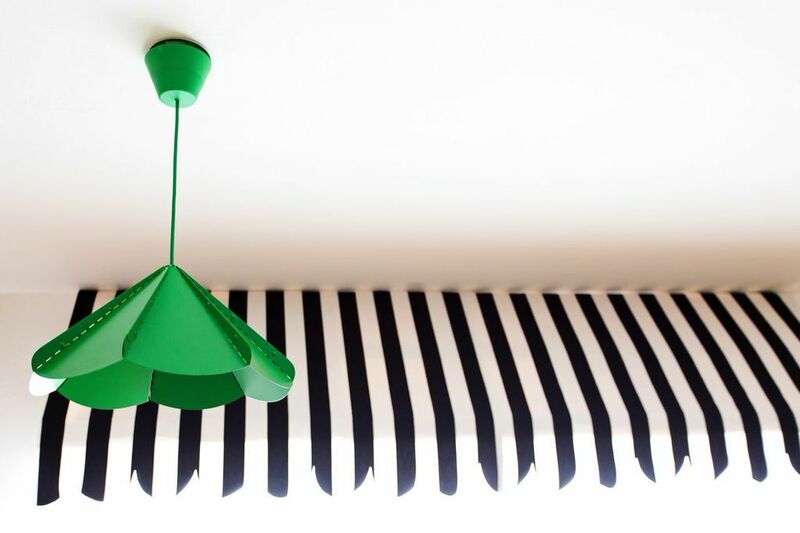 I LOVE the black and white striped wall. I got the cute green light from Ikea. It was very affordable! I made the chalkboard out of MDF. I also use it for so many different events. The rolling toy bin is also from Ikea. I just added wheels on it. I also got the rugs at Ikea for $20 each. The space is kind of long and I was going to do one big rug but I loved these dotted rug and so I got three. Not only that it was only $60 for all three. You just can’t beat that price. 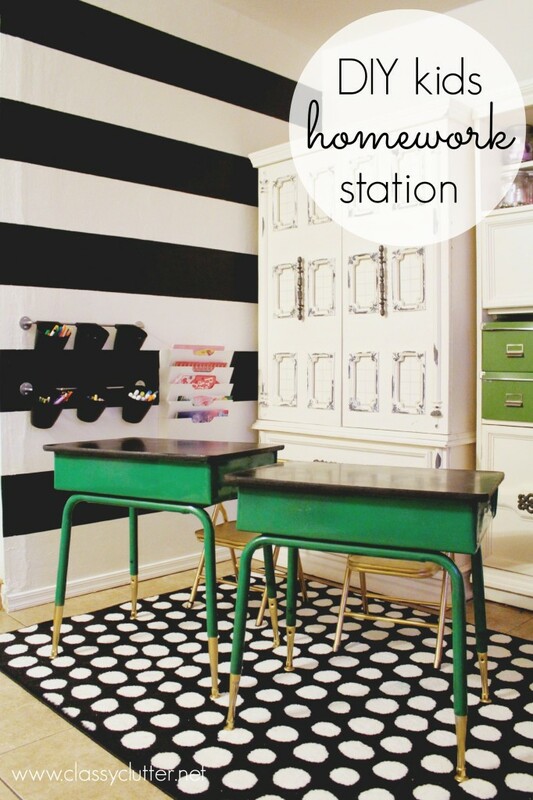 A while back I showed you a my kids homework station and I am still loving it. So thats one side of the playroom. The other side has a sliding door that I added this awning. Before I even started the playroom I knew I was wanting to do an awning and it’s my favorite thing in there. I am going to be sharing with you my detailed tutorial very soon. It was a lot easier then I thought it would be. The rest of the playroom is where the rest of the toys go and also the much needed tv. To do the DREAM letters I got letters from Joanns and then I spray painted them gold and then added the glitter. I love them so much! I cut BIG out of vinyl. And I ordered the map picture off of veryjane a while back. 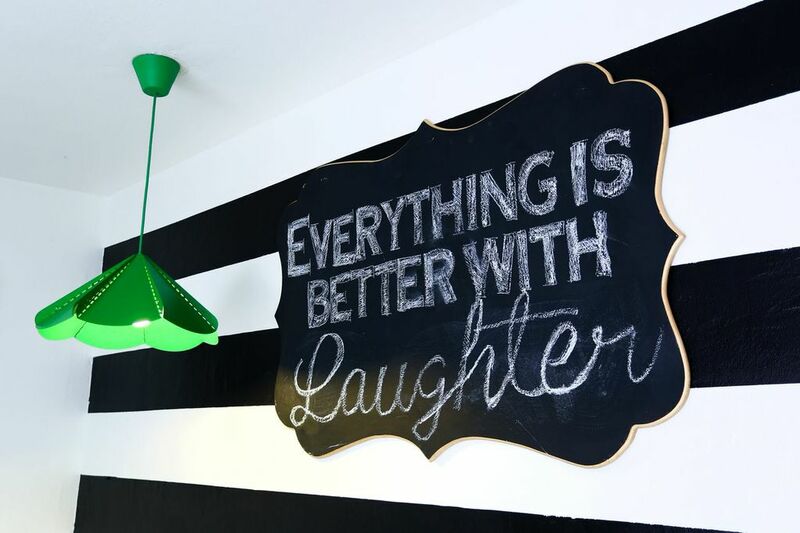 My kids love the play room and so do I! 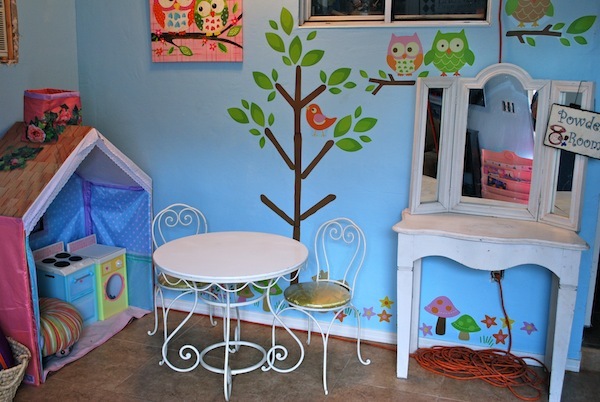 HERE is what the playroom looked like before the black and white transformation. What do you think about the change? Do you like it? Great awesome website i love the graphics and your site good work. I love the playroom transformation! It looks so stylish and perfect for both kids and adults! Hi! Love this! Did you post the awning instructions yet? 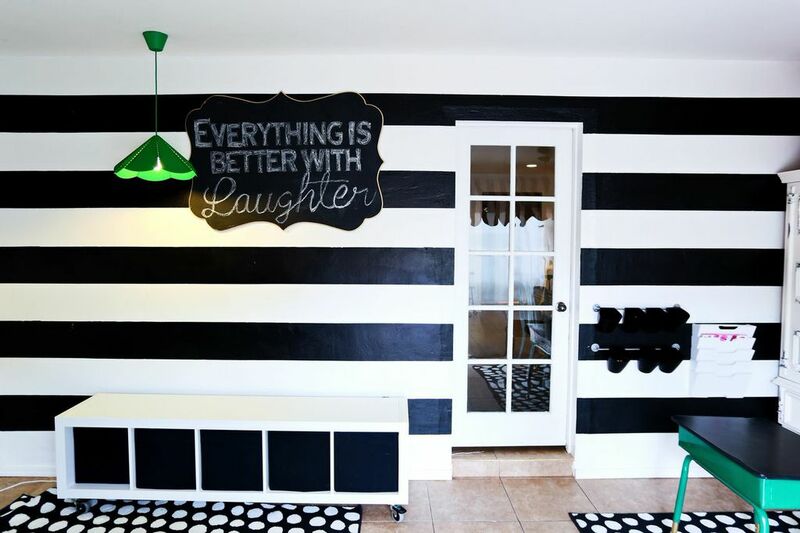 Dying to do one for the playroom too! This is AMAZING! I absolutely love it.